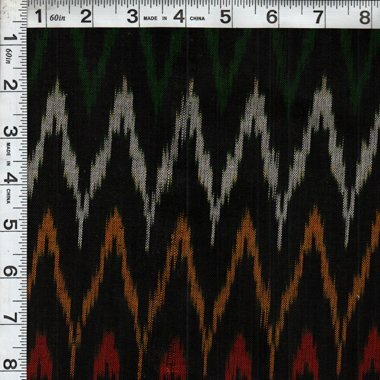 This ikat is a medium-weight that is well suited for garment making, quilting, and home decorating alike. Hand wash separately, no chlorine bleach, and line dry. Please note that this fabric is handwoven, which means that it may have irregularities in the pattern and variation between dye lots.